Healthy side dish to accompany your lean protein. Made in just a few steps. So super fast (just how I like it) and yummy. 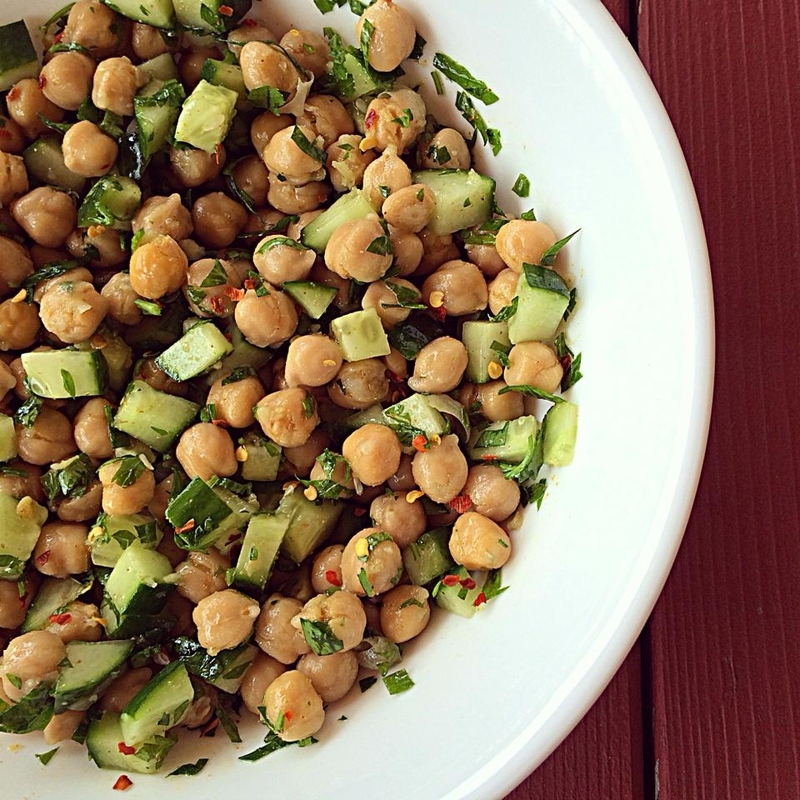 I drained and rinsed one can of #organic chickpeas, added diced cucumbers, white onions, parsley, 2 cloves of squeezed garlic, a few shakes of cumin, red pepper flakes and about 1 tbsp of evoo. Mix and leave for 10-15 min for flavors to develop. Enjoy with a side of lean protein.